If you head down to the Great Ayton Town Hall on a Thursday afternoon, you’ll find a great party going on. It’s a huge ruckus of stomping feet, sensational rhythms, ringing laughter, and you’re invited. With the catchy tunes echoing around the building and the enthusiasm of all the participants, you’re guaranteed to be getting on your dancing shoes gliding across the floor with them in no time. For those of you who aren’t sure what a tea dance is, they originate from afternoon dances that were held at English countryside garden parties in the 1880s. However, as time has moved on, the dances have started to draw upon different styles as the eras have gone by, such as the Charleston from the 1920s. They are all sequence dances, meaning they are a series of repeated patterns which pull moves from different styles, to create an amazing, flowing dance routine which are still recognised to this day. To help guide you through these dances are a wonderful husband and wife duo, with a huge love for dancing and oodles of patience when it comes to helping people. They announce the name of the dance, before taking to the boards, sweeping the floor with their fancy footwork and graceful movements. Couples are encouraged to join in, along with people who aren’t that sure of the dance. But learning the moves is simply a matter of jumping out of your seat, copying the instructors and remembering. 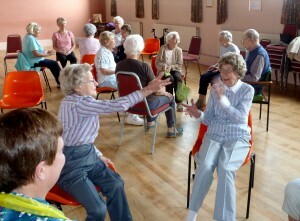 However, if there are dances you’d particularly like to do in the next session, clients are able to put in requests. It’s a very informal activity, with many people there “to dance and to have a laugh,” and to meet up with their friends. This makes it such a social session, with people chattering away during dances and over the tea and biscuit break. Many clients attend each week, building up there dancing repertoire, but new faces are very warmly welcomed! Not only is the tea dance a social affair, it’s also a really great way to keep in shape. 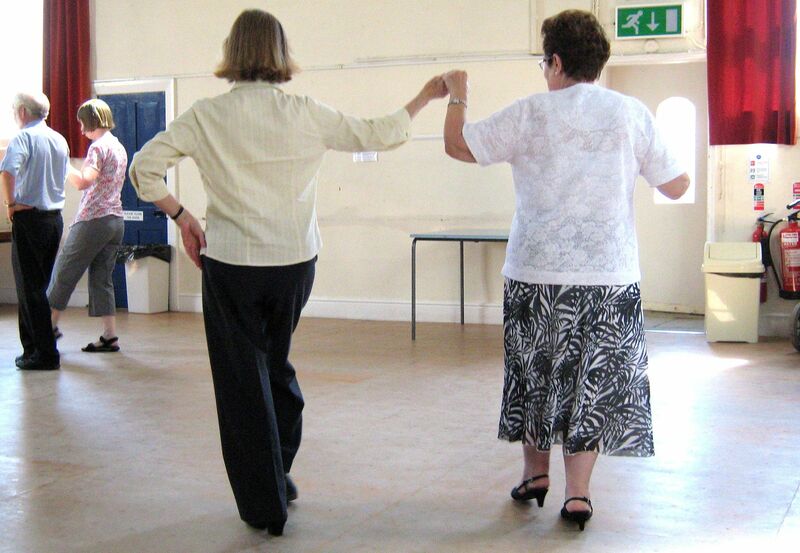 One instructor said “it’s a little bit of fun really, but it’s exercise without being exercise.” You end up having too much fun, twirling and swaying away, that the dancing just doesn’t feel like exercise anymore! This really is a very friendly and invigorating activity, and people of all abilities are welcome. It’s held in the Great Ayton Town Hall on the high street, from 1:30pm-3:30pm, every other Thursday. Each session costs £2, and you are provided with tea and biscuits in the break. For any further information, give Phil Henderson a call on 01642 710085. Chairaerobics is a craze that has taken the nation by storm, but don’t be fooled by the promise of a seat throughout the whole exercise. Even though you are sitting comfortably in a chair, this class is designed to get your blood pumping and your heart racing, so there is definitely no time to pop your feet up with a cuppa! The hour-long session is made up of several short workout routines, featuring moves that are so fun, they don’t feel like exercise, such as ‘hula dancing arms,’ ‘breaststroke,’ and ‘teapot.’ But each of them is created to get your body moving in an exciting way to help with mobility, as well as boosting your mood, enhancing your self-esteem, and even improving your outlook on life. If those moves don’t grab your fancy, there are even ones that use props, such as beanbags and bouncy balls, just adding to the list of exhilarating exercises. Not only is this class great for adding a little extra activeness into your life, it’s also a really enjoyable and lively way to meet new people. The participants are free to chit-chat amongst themselves, especially over the water and juice break halfway through the session. Many have become firm friends, attending the sessions together regularly, so any new faces would be warmly welcomed. This class is perfect for all seniors, despite any injury, disability or illness that may affect your mobility, everyone is welcome to join in. It’s even possible to take part if you are a wheel chair user, so joining in as much as possible is greatly encouraged. 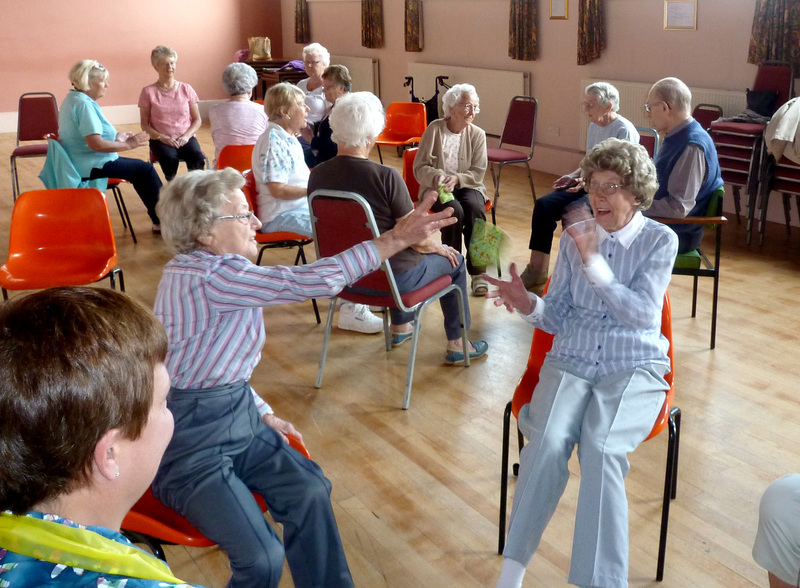 But if you find that the class is a little too energetic for you, there is a chair based exercise class that is gentler, which is held at Stokesley and District Community Care Association. The chairaerobics class is held on the first floor of Stokesely Town Hall, from 10:30am-11:30am. For any further information, give Phil Henderson a call on 01642 710085. We’ve got a new project, and we need your help! We are always open to new ideas and looking to fill any gaps that may appear to help the elderly, disabled and isolated people in our communities. 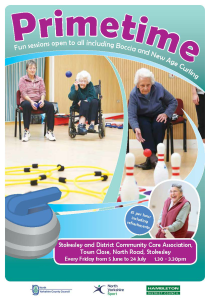 We have been approached by Hambleton District Council to take over a fun session called Primetime – which is a session open to all including Boccia and New Age Curling. As you can see from the poster below, HDC have been running the sessions in our rooms for a trial period, it has been really well received with an average of 8 people attending each session. Not only are the sessions good fun and sociable but also keep people fit and healthy by providing gentle exercise for both mind and body. We would like to keep these sessions running – we are looking for volunteers to run the sessions here in our rooms on a Friday Afternoon. It would be great to get a team of volunteers to cover the sessions and run on a rota basis, meaning only a small commitment is necessary – initially volunteers would shadow the person who runs the sessions now and then if necessary we can arrange further training in the future. This is a rewarding opportunity and would suit anyone who is interested in fitness and well being but could also introduce you to new skills and making new friends. If you are interested in finding out a little bit more about this please speak to Phil or Kay with no obligation on 01642 710085. 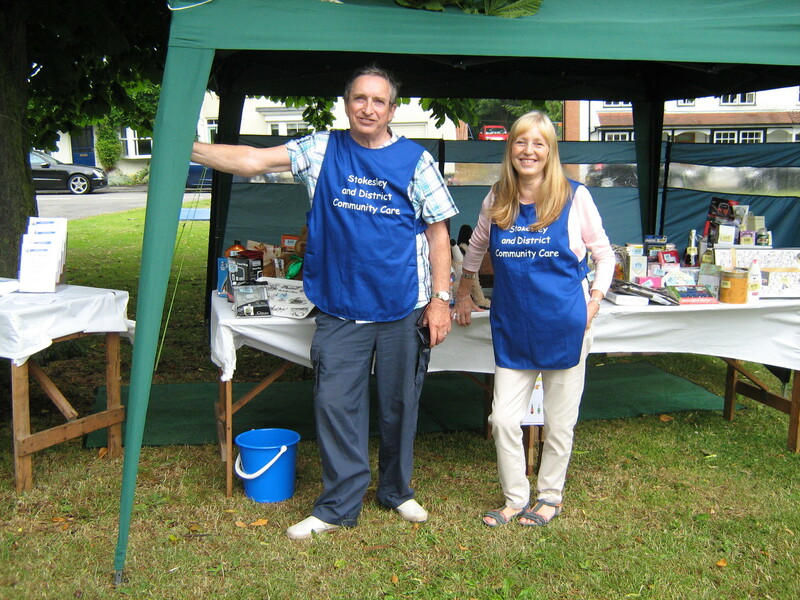 We had fair weather this year for the Hutton Rudby Fete – a small team of volunteers and staff set up a stall and ran a tombola for The Community Care and raised over £150 !! 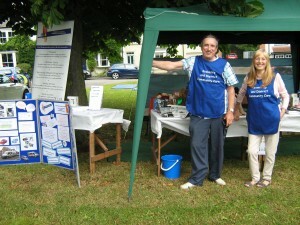 Many thanks to all who visited our stall. The Hambleton Richmondshire and Whitby Clinical Commissioning group (CCG) is holding it’s AGM at Stokesley Town hall between 2pm and 4pm on Tuesday 7th July 2015. 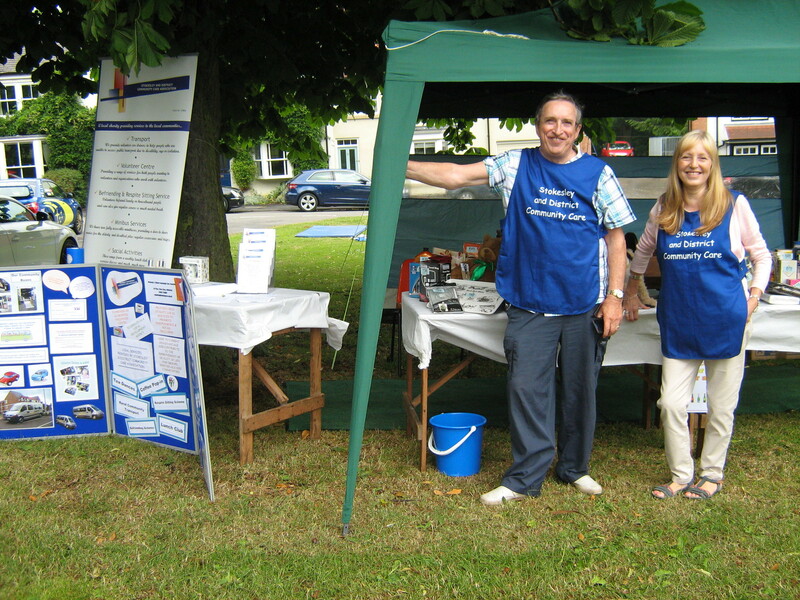 Community Care will have a table there publicising our services with plenty of leaflets and our Manager Phil to answer any tricky questions. The public are welcome to attend ……refreshments will be available and it will be a good opportunity to get an update about your local health services from the key players in the CCG..